Around the year 1985, Al Gromer Khan began setting up his own sound studio “The Paisley Room” in Munich, which is a simple room with an elevated wooden platform that has a double folded woolen blanket on it. Sitting on this, Al does his daily 3 hour sitar practice and contemplation, as well as composing and recording his work. 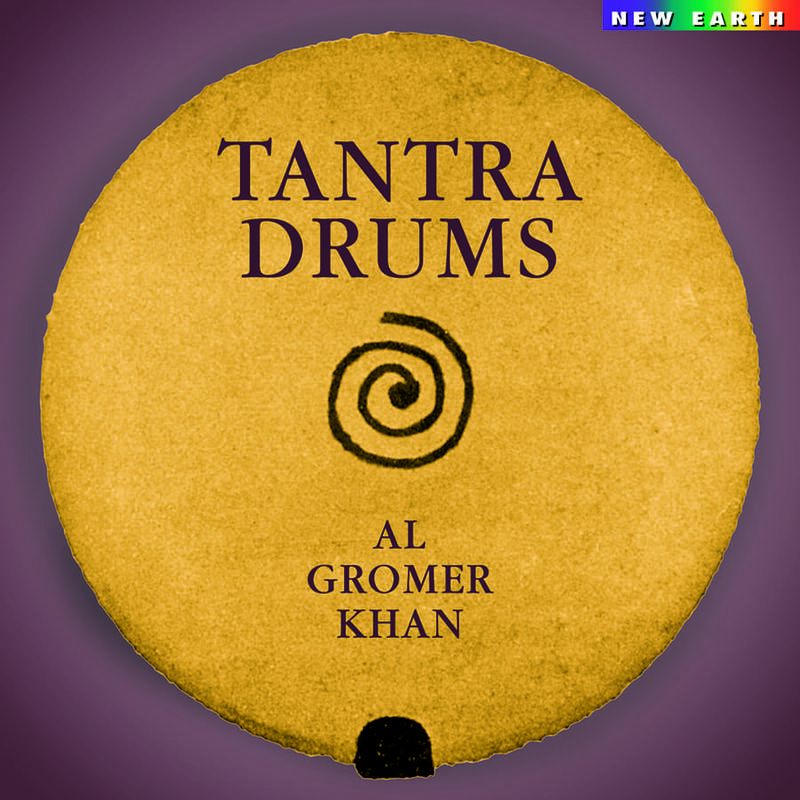 Music by Al Gromer Khan features his signature “Paisley Style” which was the outcome of his “intoxicated” years. Within 10 years, Al recorded eleven CDs that included the classic “Paisley melodies” like “The Air Ornaments,” “The Perfumed Garden,” “The Paisley Handicap,” “After the Crash,” “The God Perfume,” and “Chad and Roses.” He also set down his 99 Principles, a written manifesto of a new contemplative world music. The first one of them says: Only one in love can write a love song. 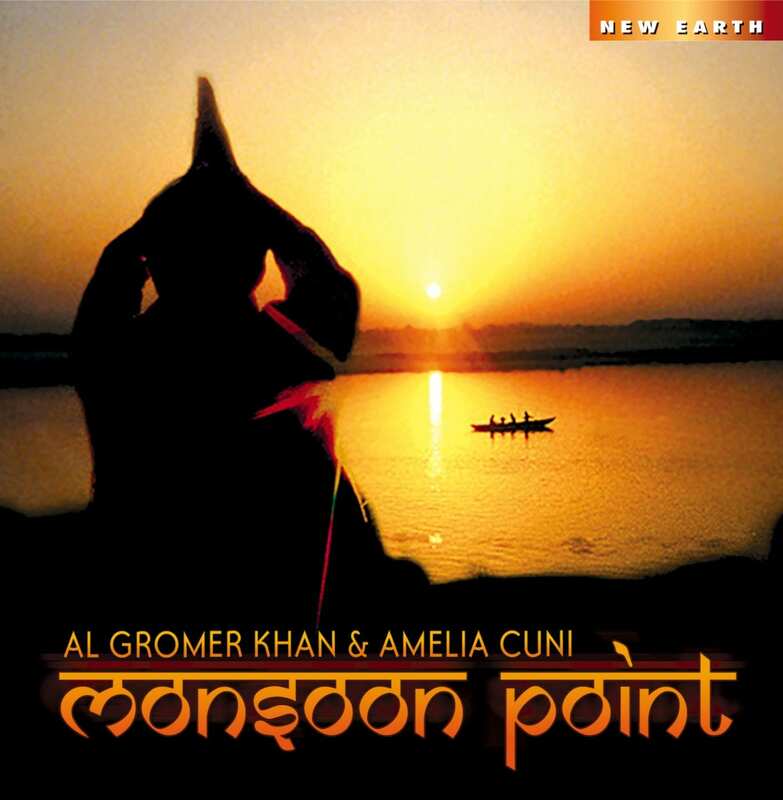 Al Gromer Khan is an internationally acclaimed sitar instrumentalist and composer who has pioneered in the fields of ambient and world music for over twenty years. 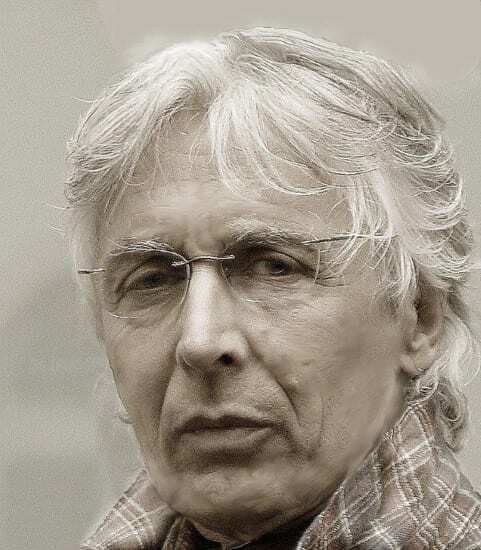 He was born April 8, 1946 at Castle Honenthann situated at the alpine foothills of Bavaria near Lake Constance. He spent his early years in England, Morocco and India, where his father worked in the Foreign Office. As a child, his first musical fascination was the melodious bells which are worn by the Bavarian cows as they graze in alpine meadows. From the start he rejected any academic or diplomatic careers his parents expected him to take up. Even as a youngster, he was drawn to the mysteries of sound, be it from the refined ornamentation of Indian stringed instruments, the drums of North Africa or even the “singing” telephone wires in the freezing deep of Bavarian winters. Very soon he discovered the fascinating factors of “music from a distance,” and “music as perfume” as he calls it. These principles came to him on a stormy spring night when, waking from sleep, he discovered waves of sound stemming from a Bavarian village brass band, that was practicing some miles away. And even though he knew that they were not very good players it nevertheless evoked enormous feelings of bliss inside of him. That night he aspired to, one day, produce a similar “abstract” type of sound-poetry that had an effect on the listener as if it had its source far away in the distance in terms of time and space. This was way back in the 1950s, certainly a long time before so-called space music came into being. The swinging 1960s in London put 20-year-old Al Gromer – “probably the first long-haired hippie” – in touch with an amazing mixture of colorful personalities with whom he entered into a number of multicultural musical experiments, and who were to have a lasting influence on him: The Prince Tiane na Champassak of Laos introduced him to tantric art, and popstar Marc Bolan invited him to all-night musical jam sessions. With Mike Figgins, today a successful Hollywood film director, he explored psycho-acoustic phenomena. Master Jazz saxophonist Ronnie Scott of Ronnie Scott’s Jazzclub fame introduced Al to the giants of jazz like Ben Webster, Max Roach and Miles Davis. Macrobiotics guru Sam Gregs introduced him to the subtleties of “you are what you eat” and Cat Stevens, now Yussuf Islam, to English poetry. Thus it was inevitable that the most fateful musical influence on his career was yet to come. It came in the nobility of grace and style combined in one person, Ustad Milayat Khan, the great master of Indian sitar music in the year 1968. Upon his return from India in the year 1971, already an accomplished sitar player, Al returned to Bavaria where he kept up his daily sitar practice and continued taking part in a number of projects of new international music. Amon Duul and Popol Vuh and Deuter were among those involved. The meeting with Vilayat Khan had such an impact on Al Gromer’s young life, yet old soul, such powerful and precious memories from other lifetimes and worlds, that it led him to study and “practice” Indian music exclusively. He spent 10 years studying with Imrat Khan, who in the traditional Ghanda-Ceremony accepted him into the dynasty of Khans, and another 10 years of intensive study of live-recordings of Vilayat Khan in a small room in Munich. This intoxicated period lasted until the late 1980’s when his estranged 13-year old daughter appeared, needing money for support. At this point Al decided that it was time to share his visions, precious deja-vu and his access to the more refined areas of the human soul with his audience. Thus, around the year 1985, Al began setting up his own sound studio “The Paisley Room” in Munich, which is a simple room with an elevated wooden platform that has a double folded woolen blanket on it. Sitting on this, Al does his daily 3 hour sitar practice and contemplation, as well as composing and recording his work. Here he began exploring and designing the “Paisley Style” which was the outcome of his “intoxicated” years. Within 10 years Al recorded eleven CDs that included those very typical “Paisley melodies” like “The Air Ornaments,” “The Perfumed Garden,” “The Paisley Handicap,” “After the Crash,” “The God Perfume,” and “Chad and Roses.” He also put down his 99 Principles. They are a written manifesto towards a new contemplative world music. The first one of them says: Only one in love can write a love song. And out of this first principle the other 98 principles evolve. In other words: the first principle – if contemplated – contains and will reveal all the other 98 principles. The essence of Al’s “manifesto” is this: If you want to make beautiful music, then first of all the person should be beautiful. An interesting person will automatically make beautiful and interesting music. All else, including practice, study, and technical and technological means are secondary. 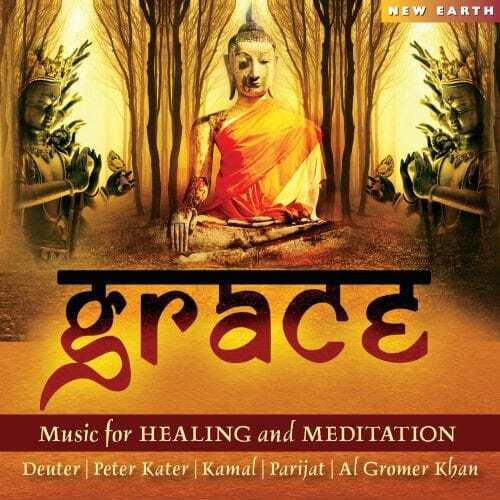 Music by Al Gromer Khan is thus a manifestation of love and beauty. Today Khan lives and works in Munich. He has chosen an understated lifestyle that goes with his style of music: Quiet yet persistent. Suggesting things rather than spelling them out. Giving his audience a chance to discover hidden secrets like treasures in a ruin. Leaving pauses that serve as resting spaces between the notes and which in turn serve as triggers for the listener’s imagination. My partner, Ute, and I recently held an art exhibition of our paintings for the album Inner Witness in Munich where we live. The source of inspiration for Inner Witness was literally the inner witness. The visible and the invisible belonging to ephemeral phenomena. As I create my art and music, I am continually finding robust inspiration from the cosmos in my creative process. I approach my art with an invigorated sense of presence and a cup of chai. My basic motto has always been: To have enough is happiness, more than enough is unhappiness. I have been playing sitar for every day now for 45 years, writing my diary, and working with sounds that transport me to a different place. I followed my intuition – and in the course of decades my intuitions haven’t lead me astray. For me, “enough” is creating my art. I’ve found happiness and healing in my music. My regrets are only in terms of some of my elders of olden days. I wish I had brought better presents when visiting them and expressed my gratitude more explicitly for helping me along, for opening doors, or saving me when times were hard, many years back. I stand in the waters of spirituality only with the soles of my feet. Many thanks to Waduda and Bhikkhu for promoting my work world-wide so I can enjoy being able to communicate with friends and fans all over the world. My love and best wishes to all of you. When I practice and write music you are all on my mind: from Brazil, to India, to Sibiria, New England, the Middle East, Australia.